Want To Reduce Your Waist With Corset Training? Want To Sew A Training Corset?! Welcome to my Corsetry Blog! Hi I’m Scarlett, this is my site! Come learn about real training corsets and how to waist train properly. Learn how to make your own waist trainer from scratch while learning all the corset training how to’s. Get your questions answered like – Do corsets work? How do I become a corset trainer and start waist training? How can I pick the right waist trainer corset for me? What is a Corset Training Corset? Not all corsets are made to be waist trainers. Fashion corsets are not made to compress the waist. Stretchy waist trainers (those the Kardashians wear to the gym) and flimsy bedroom wear are also not training corsets. A proper corset for training the lower torso will have dramatic curves and be made of two or more layers of strong fabric. A corset trainer will also have steel bones to hold the body in shape. Corset training is known by many names such as tight lacing, waist training and waist reduction. Don’t worry, they all mean the same thing! Put simply it is the process of changing your own waist shape by wearing a training corset over many months. There is more to it such as waist corset size and fit. Also getting the correct corset shape and learning to gradually cinch down smaller comfortably. Monitoring your waist size and progress is important too. Check out the Corset Training Fast-Track section below to get started. Learning how to make a Waist Trainer? My website is also about the art of corset making! I have an easy to follow video guide for beginners if you want to try DIY waist trainer sewing. It’s called the Express Corset Making Course. 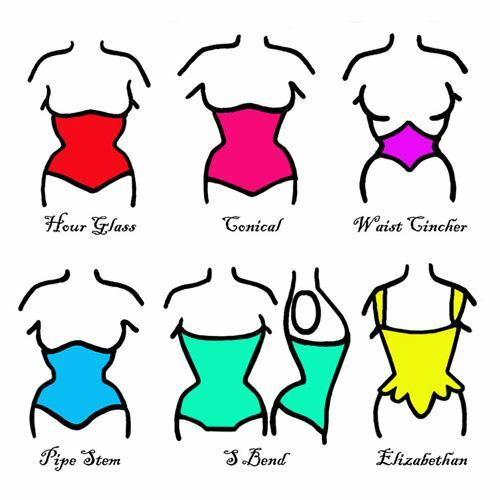 If it’s something you’d like to get into you can find out more below about how to make a waist trainer. It’s one of the most rewarding garments you’ll ever sew and the savings over buying a corset are massive! Also don’t forget to grab my FREE waist corset pattern directly below. It’s an easy to make waist corset that’s perfect for the beginner and completely free! My next big plan for the Corset Trainer Blog is to start a waist trainer corset review page. It will be for those not big on sewing who just want to buy a quality corset for training their waist. If you’re eager to get started but don’t sew and aren’t sure where to get a corset online, that will be for you. The emphasis will be on fit, curves and comfort! I’ll add a link once the research (and fun) begins. 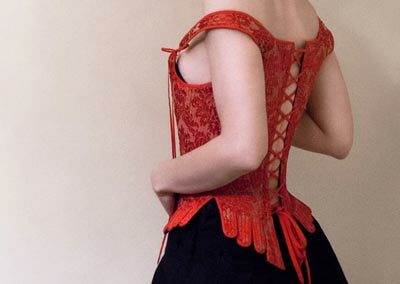 Have You Grabbed Your Free Corset Pattern Yet? Find Out More About The CorsetTraining.net Free Corset Belt Pattern, why it’s special and why I’m giving it away free. My Corset Patterns – Make Your Own Corsets On The Cheap! Hi I’m Scarlett, this is my site! Come learn about real training corsets and how to waist train properly. Learn how to make your own waist trainer from scratch while learning all the corset training how to’s. Get your questions answered like – Do corsets work? How do I become a corset trainer and start waist training? How can I pick the right waist trainer corset for me? My Cricut Cut Corset Pattern Part 2! Trying out my Cricut machine for corset making, can I auto cut corset patterns at the push of a button? Plus cut corset embellishments? Let’s find out! Cutting Corset Patterns With A Cricut Machine! Learn Corset Making in 2 Hours! Here you can learn what Corset Training is, if it works, how to get started and how to make corsets to waist train in at home! Also don’t forget to grab my FREE corset pattern! Start your waist training journey here, today!